Some years ago, a well-known Middle East analyst briefed a conservative audience at a private seminar in New York City. “A Palestinian state,” he said, “might achieve the modest prosperity and political stability of a Tunisia.” Tunisia, long a byword for stable secular governance in the Muslim world, isn’t Tunisia anymore. We well may see the future of many Muslim countries in a Tunisian mirror: neither secular or authoritarian, nor democratic, nor Islamist, but merely chaotic. The one thing we may say with certainty about the Tunisians is that there won’t be very many of them a generation or two from now. Although Islamists seem eager to exploit the revolution that booted out President Zine el-Abidine Ben Ali last week, there is no evidence that the Muslim Brotherhood or other radicals had much of a role. It is quite possible that the Islamic Renaissance Party, led by the exiled Tunisian Islamist Rachid al-Gannouchi (no relation to the interim prime minister), might exploit the chaos. But it doesn’t seem likely that the jobless university graduates of Tunisia will look for a solution in burkas and sharia courts. Tunisia is the most aggressively secular of Arab countries, and it will be hard for the Islamists to lure the genie of secularism back into its bottle. The demographic profile of Tunisia – along with Algeria, Egypt, Jordan, Turkey, Iran and most Muslim countries – resembles a train wreck in slow motion. The front car hits an obstacle, and the rear cars collapse accordion-style with the momentum. The average young Tunisian woman – like her Iranian or Turkishcounterpart – grew up in a family of seven children, but will bear only one or two herself. Her mother was born into traditional society, and could barely read and write; the daughter may have attended university, and has neither the inclination nor the income to raise a large family. By 2000, Tunisia’s fertility rate had already fallen below replacement, and is likely to fall much further (the UN “low variant” scenario puts it at only 1.35 women per child by 2015). One out of 10 Tunisians is an elderly dependent today; as the present generation ages, the ratio will rise to about the same level as in Western Europe, or two out of five. Even for wealthy Western Europe, caring for this army of pensioners will strain resources to the limit. A poor country simply has no way to manage. Through a range of development policy loanprograms with IBRD, Tunisia has boosted its global competitiveness and seen exports double over a little more than 10 years. The best illustration of Tunisia’s improved competitiveness is its total factor productivity growth, which often drives investment. Total factor productivity rebounded from a negative rate in the 1980s to 1.24% in the 1990s and 1.4% in 2000-2006. While productivity growth in 2000-2006 remained below South Korea’s and Malaysia’s, it represented one of the best performances in the Middle East and North Africa region. Furthermore, exports of goods doubled in value between 1996 and 2007, while annual foreign directinvestment flows increased steadily, averaging 2.2% of GDP in 1996-00, 2.6% in 2002-05 and 5% in 2006-2008. 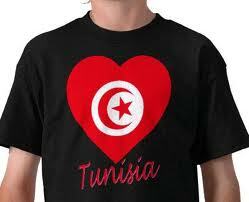 Tunisia ranked as Africa’s most competitive country in Davos’ 2009 Global Competitiveness Report. All this translated into a 5% growth since the mid-1990s despite recurrent internal (e.g., droughts) and external shocks. It seemed like Tunisia was doing all the right things. The country spends 7.3% of GDP on education, a higher proportion than the U.S., Finland, or Israel. Of course, GDP is far lower so absolute education expenditures are lower as well. Nonetheless, Tunisia’s education effort exceeds that of any other Muslim country, including 2% of GDP for university education. About 30% of secondary school graduates go onto university although 60% of them fail exams. The trouble is that their diplomas are largely worthless. Like most developing countries, Tunisia teems with diploma mills that issue worthless degrees to half-trained graduates. Even in India and China, the majority of engineering graduates do not meet international standards, although the elite universities produce a huge number of first-rate engineers. No Arab country produces graduates who can compete with their Asian counterparts; the only Muslim country whose graduates meet world standards is Turkey. Today’s bulge of young Tunisian university graduates is a day late and a dollar short for the global world economy. If a new government were to cast off the constraints of bureaucracy and bribery that weigh so heavily on the Tunisian economy, it is conceivable that this country of just 10 million people might achieve a somewhat higher growth rate then Ben Ali’s 5% per annum, and absorb a few more of its army of university graduates. Everywhere in the Islamic world, though, education appears to cause a fertility collapse. There is a close correlation between literacy and fertility throughout the Muslim world. Illiterate women still tend to have very large families, while university-educated women have one child or none at all. There is no practical way to interrupt the train wreck. Muslim countries that invest heavily in education, of which Tunisia is the best example, never achieve a critical mass of trained graduates. The main consequence of more education appears to be a plunge in fertility rates within a single generation, from the very large families associated with traditional society, to the depopulation levels observed in Western Europe. Only Turkey has had a long enough head start to build a credible university system. The numbers don’t add up. There aren’t any good choices in Tunisia, and that fact is of greater significance than the next round of political improvisation after the fall of the Ben Ali government. Spengler is channeled by David P Goldman, senior editor at First Things magazine. Next Veena Malik – FrontLine with Kamran Shahid!